This all-new template will help you analyze budgets, reconcile bank statements, automate categories, manage assets, liabilities, income, and expenses, generate profit & loss statements, and easily create detailed spending and earning reports. 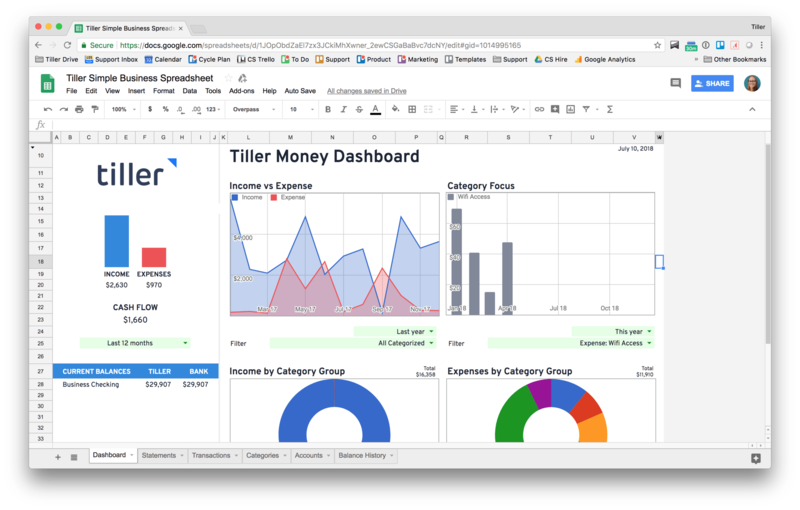 Like all our Google Sheets templates, it will be powered by our daily automatic feed of your business transactions and balances, saving you hours each quarter. A Google Spreadsheet template for modern businesses. We know how important spreadsheets are for running your business. We’ve made them faster, easier, and smarter.